With the Asian Rugby Football Union’s Women’s 15s 2012 slated to be held in Manila in a fortnight and the Singapore Standard Chartered National Rugby Academy (SCNRA) Women’s Team touring Cebu to play the Philippine Women’s National Development Team, the Philippines will be seeing plenty of women’s rugby action over the next few weeks. 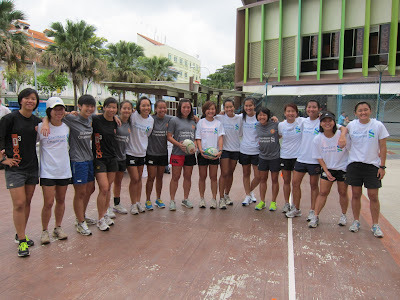 Whilst the SCNRA has been involved with women’s rugby in Singapore through introductory programs like PLAY! and other clinics, this will be the first time that a women’s team from Singapore travels under the SCNRA banner since its inception. The Philippine Women’s National Development Team comprises a similar age group of women in their mid 20s who are mostly resident in Manila. Like many on the SCNRA squad, some of the Philippine development team members are hopefuls for a spot on their respective national squad for the ARFU 15s in Manila. Susan Konstanty, the coach of the Philippines development side as well as the Volcanoes, will be keeping an eye out for standout players before her final selection for the Volcanoes to play at the ARFU 15s in two weeks. The game between the Singapore Standard Chartered National Rugby Academy Women’s Team and the Philippine Women’s National Development Team will be played at the Cebu International School on Saturday, 2 June 2012. Inside stories about the LADIES click here. THE FIRST DAY OF THE SCC7s STARTS OFF WITH A BANG!